All of the issues that have made up the frustration I endured over the past few days are nothing in comparison to what was heaped upon Job that day. Mine are what I call – First World problems. I also realized the absolute coldness and deadness of Satan’s heart and the pure hatred he has for God by what he heaped upon Job. In his study of human nature over the years, he has been able to watch how we handle adversity. He has been allowed to test our limits and records just how we act or react. Have I dealt with others in a manner that would display God’s love or my lack? Have I spoke with words that edify, glorify, and magnify or are they demeaning, degrading, and destructive? Have I walked as an ambassador of the King of Kings, or have I solely represented Paul’s World Inc.? Do others see Christ in me or wonder why I call myself Christian and act contray? Job never stood to testify of his own goodness. It was God who brought Job to the testing. The ‘fire-fighting’ we do because of our poor decisions could seemingly be eliminated if I worked on my spirit to equal Job’s. 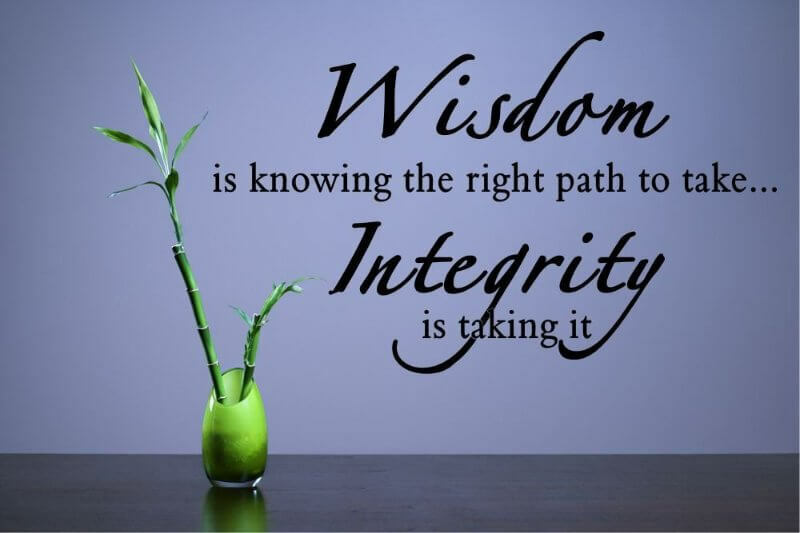 The integrity Job held was rooted deep in his relationship with his Heavenly Father. He never worked to please others; only God. He never worked to gain wealth, power, influence or friends, yet God gave him that and more. He never sought to lead or be recognized in the community, though when Job spoke, he was respected and revered. We see what Job had, who Job was or how he was viewed and desire that instead of what got him there – his integrity. I have come to realize that it is in the small things; what I say, how I respond that reveals who I am to others. How this reflects on God – the One I represent. Knowing I am the purchased possession of Jesus Christ and His bride, I must act accordingly. Far too often, I lose that perspective and act selfishly. But when I remind myself and am reminded by others; I can change that response by allowing God to guide my steps, control my tongue and light the path I need to travel. Today – I choose God… not Paul for whom I am going to live. Satan will have his snares waiting – he alwas does. There will be stumbling blocks and I may stub my toe; but what I do and say when that happens is still my choice. My prayer for you today, dear reader, is to choose God and what He has for you!